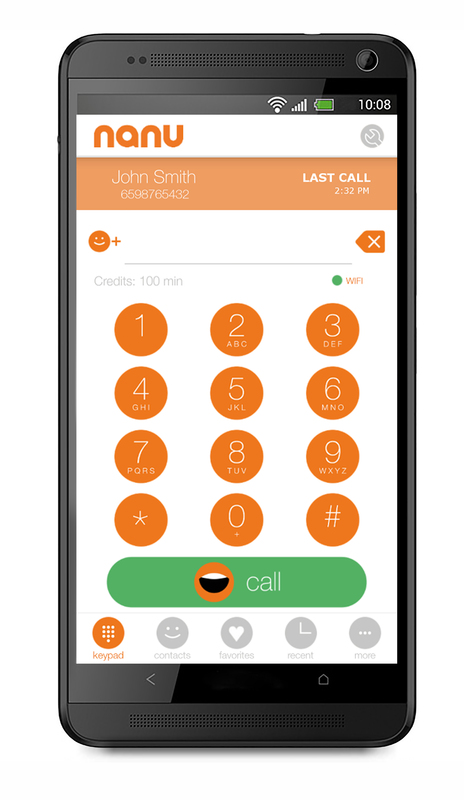 There’s yet another calling app on the market that’s out to challenge dominant player Skype. Nanu, an Android app that was launched today, touts the ability to make free calls even via a sluggish 2G network connection, and to non-Nanu users including landlines and mobile phone numbers. While waiting for your call to be picked up, a short ad will play over the ringtone. The ad will end immediately once your call is connected to the other person. The revenue from the advertisers helps to subsidize the cost of the call, so users don’t have to pay a cent. Nanu tells TNW that it is working with companies such as KFC, Nestle, PayPal and HTC among others. The 2G angle that Nanu has appeals to emerging markets where mobile networks are still not as developed. This also helps it stand out from existing apps which include not only Skype, but also Viber and calling services that have been integrated into messaging apps. Behind Nanu is a father-and-son team, Martin and Daniel Nygate, who provided technical solutions to the maritime industry. They designed Nanu from the ground up to equip it with a technology that operates in low-bandwidth environments and is combined with its hybrid network infrastructure. Meanwhile, the free calls to mobile phones and landlines will probably appeal to many — but initially there will only be 15 free minutes worth of credit for calls to non-Nanu users, and only for the first million who download the app. The free calls to landlines can only be made to 41 countries for now, including the US and the UK, while the free calls to mobile phones will only work for Germany, Hungary, India, Ireland, Israel, Singapore, Spain, Thailand, and the US. You can’t pay for credit even if you may want to. Michael Nygate says that the number of free minutes and list of countries will grow as more users get on the app, as that will help generate more advertising revenue which can go back into the system to subsidize more calls. This sounds like a tactic for word-of-mouth marketing of Nanu via its existing users, but it may be something that works. The team revealed that it has an ambitious goal of eventually providing unlimited free Nanu to non-Nanu calls as it amasses users and in turn, advertisers. The app is only on Android now, but the team says that an iOS app will be coming in the next two to three months, with other platforms following.